BEECH EFFECT SALE - LIMITED STOCK Suitable for children 6 -12 years of age. This bed needs a 200 x 90 x 10cm mattress. We would suggest this bed is best suited children 6-12 years old, depending upon the height of your child. The High sleeper has a wardrobe with hanging rail, a desk with drawer and room for a PC tower. Behind the desk are shelves so making this almost a complete children's bedroom in one high sleeper bed. This Cabin bed was especially designed to suit parents who have concerns about the height of high sleepers, it has a total height of 135cm which means it has all the excitement of being a "High" bed, but is still low enough to be safe and easily accessed. 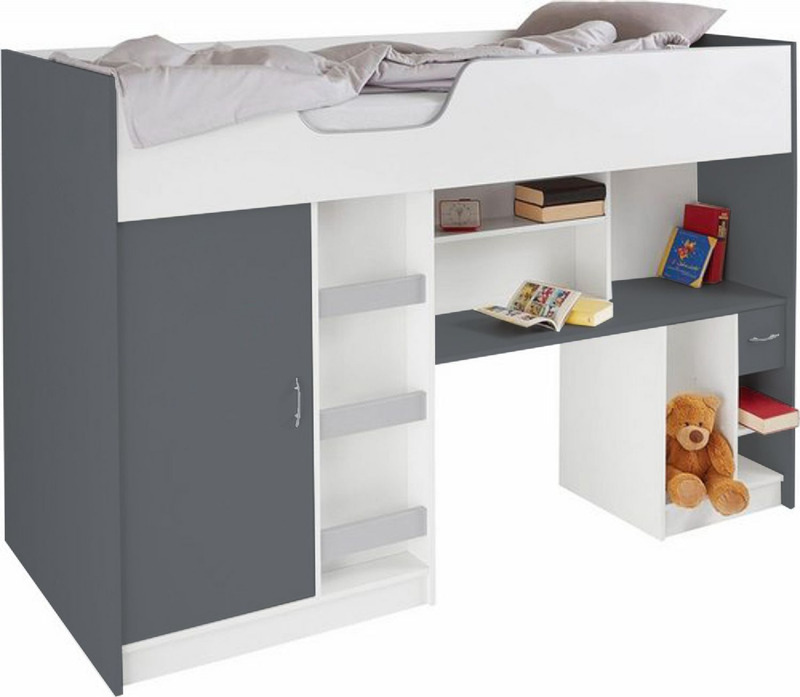 All the parts of the bed are in proportion to its overall size, the wardrobe has a hanging rail of approx 79cm, the desk top is 119 x 40cm x 61cm high and the PC shelf is 25cm wide x 47cm high. It is up to the parent to judge which of our 4 models is best suited, but we would suggest this one is best for 6-12 years old, depending upon the height of your child. This exciting stylish children's Cabin Bed (High Sleeper), which includes a bed base with 'breathing' holes, takes a full 3 ft wide or 200 x 90cm mattress (not supplied), the High Sleeper comes flat-packed for easy home assembly! The High Sleeper Cabin Bed is made to British and European Standards by ourselves in the UK and supplied to major European retailers.Other colours elsewhere on our website. The high sleeper bed comes with full easy to read assembly instructions and, if necessary, a 'help-line' contact number. 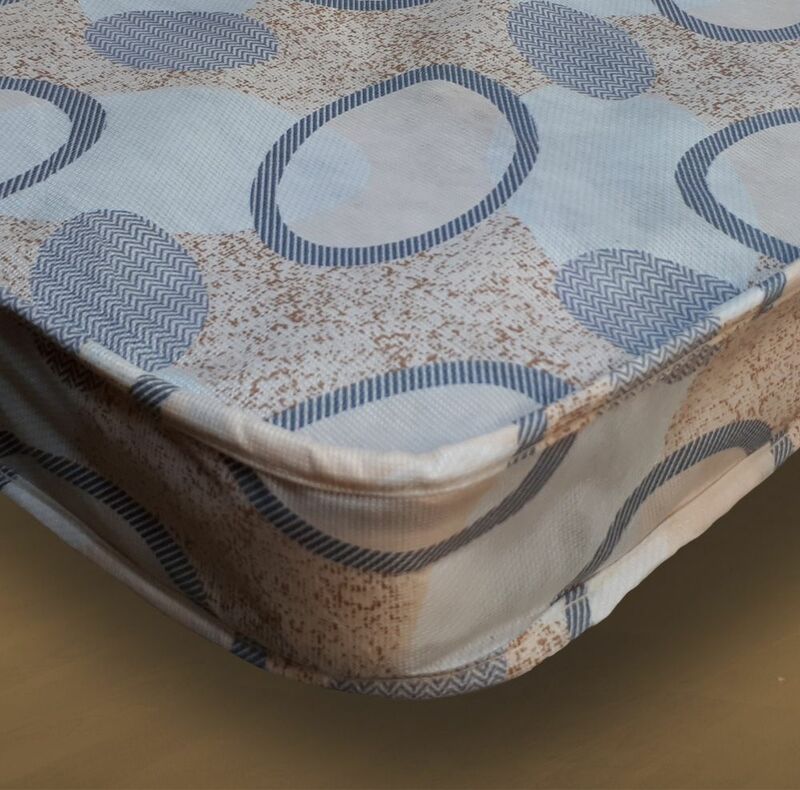 This high sleeper bed is made from melamine faced wipe-clean, scratch resistant board, it is not paper covered like many sold by UK discount stores. The High sleeper is very robust when assembled. The Mattress, Bedding and textiles ARE NOT included in the price. We offer a mattress on line that meets the requirements of this cabin bed. A 190cm mattress (English standard) will fit but there will be a gap. The High sleeper children's bed measures approximately 203cm long x 95cm wide x 135cm high. Please ensure for safety reasons that the mattress is no thicker than 11cm. Delivery of this high sleeper bed is possible by a driver to England, Wales and south of (and including) Glasgow/Edinburgh regions of Scotland, but delivery may take 1-3 weeks depending on geographical area. Scotland may take upto 4 weeks. We can not deliver offshore. We can deliver to other areas, but it will cost a little more, please ask for a price before ordering your High Sleeper.